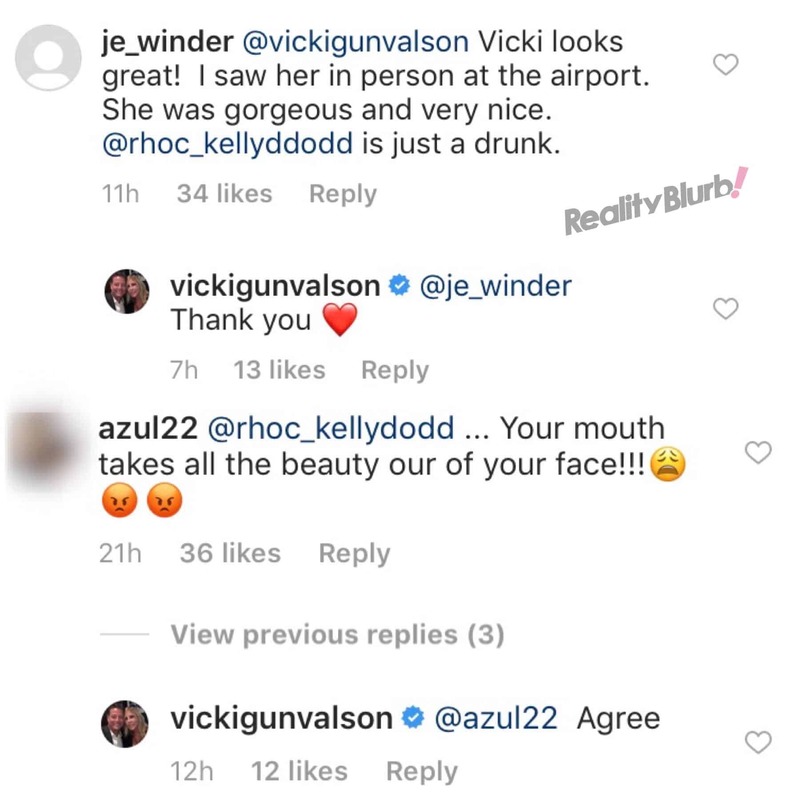 Kelly Dodd took aim at Vicki Gunvalson‘s face on Instagram over the weekend. 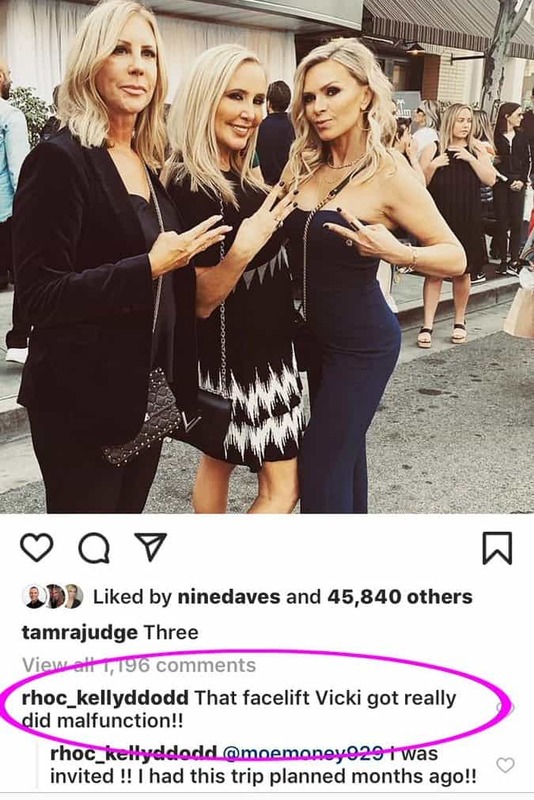 After Real Housewives of Orange County star, Tamra Judge shared a photo of herself, Shannon Beador, and Vicki at The Palm in Beverly Hills, California, where Andy Cohen‘s baby shower was held, Kelly commented on her co-star’s photo by slamming Vicki’s recent plastic surgery. “That facelift Vicki got really did malfunction! !” Kelly wrote, according to a screenshot shared by Love Andy C on Twitter. 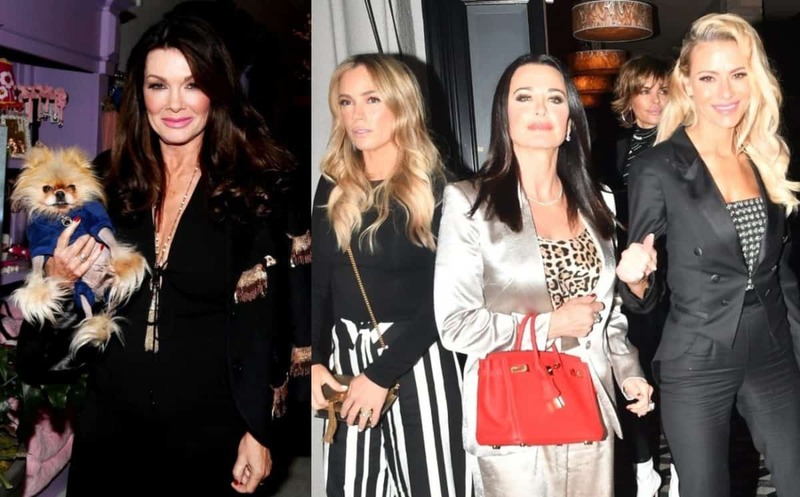 Kelly also pointed out that while she was not in attendance at Andy’s baby shower, she did get an invite to the event. “Vicki looks great! I saw her in person at the airport. She was gorgeous and very nice. [Kelly] is just a drunk,” another person wrote. Then, a third fan took further aim at Kelly and her comments by saying her mouth has taken the beauty away from her face. “Agree,” Vicki said after reading the message. 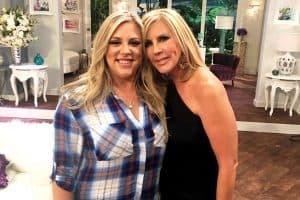 While Kelly and Vicki enjoyed a close friendship years ago, things between them took a turn for the worse ahead of season 13 and at the reunion, Vicki made shocking allegations of drug use and neglectful parenting against Kelly. 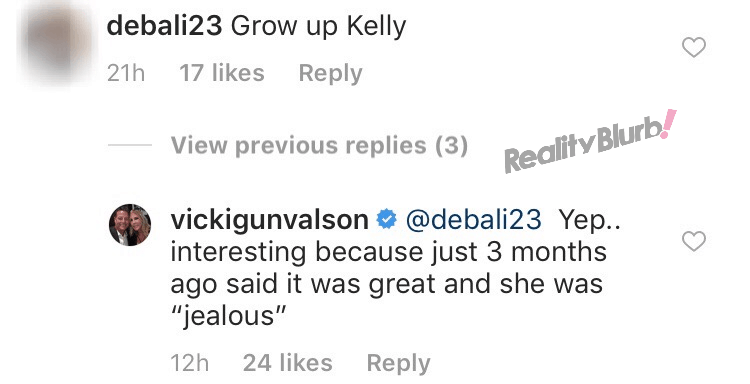 Weeks after the reunion was taped, Kelly threatened to quit the show if Vicki wasn’t fired as a result of the false statements she made. 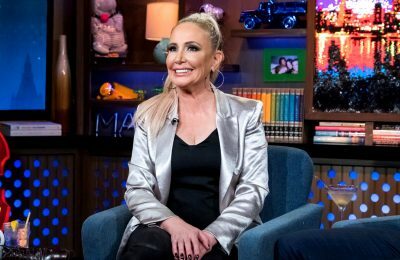 However, earlier this month, Kelly suggested she would be back, whether Vicki returns or not. 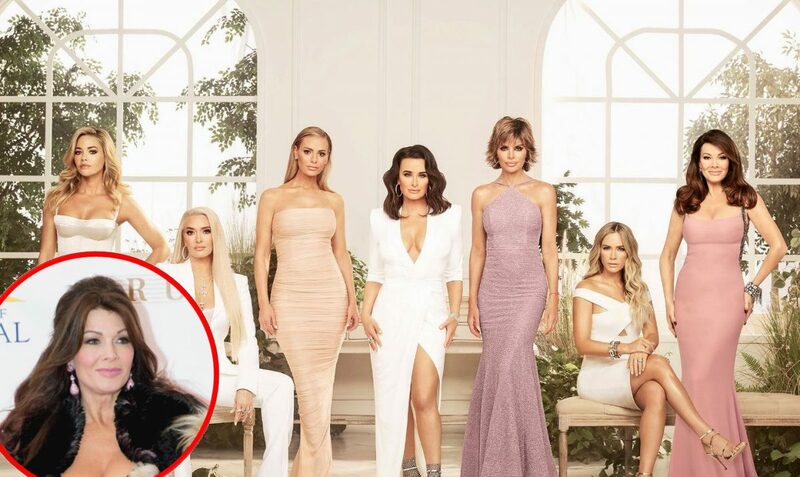 The Real Housewives of Orange County will return to Bravo TV later this year for season 14.